From the looks of it, I think I’m been frequenting APW far too often of late. There’s just something about the fashionable vibe here that never cease to lure me back for more. Here are the Top 6 and also some of my favorite places to eat in APW, some of which I’ve wrote about previously too (I’ve included full review links). As far as I remember, this was easily one of the earliest brunch sessions I’ve ever woken up to, on a Saturday morning that is. Overall Rating: 7.5/10. What I really liked about the menu here are the interesting mix of ingredients used, which sets a different mark compared to the rest of the conventional brunch offerings around town. I’d recommend the Mr Terry Benedict (RM29.00). Tip: be there early. 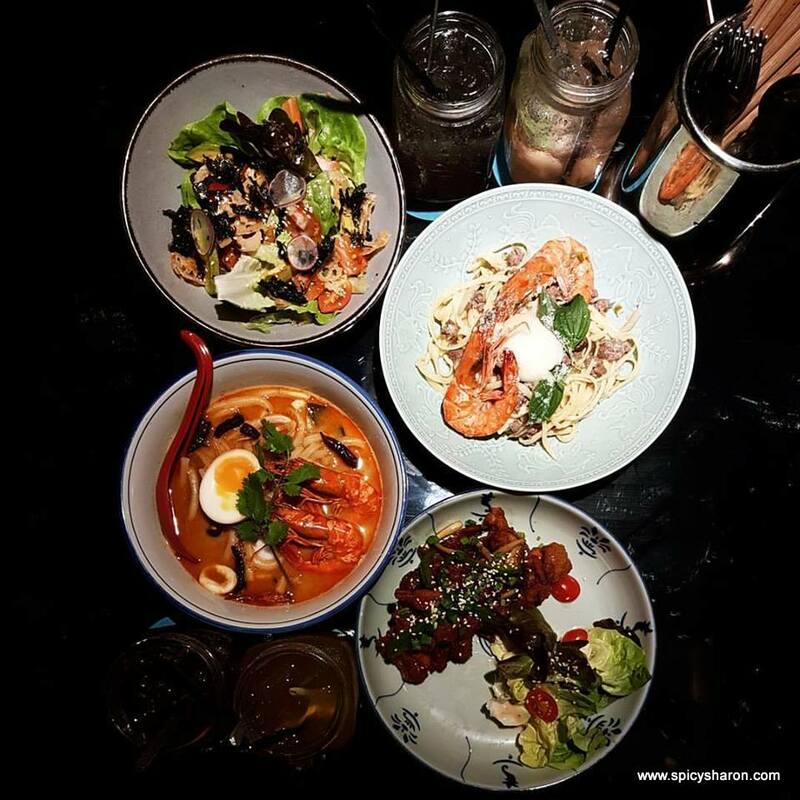 Taking over the idle space next to Breakfast Thieves, Kaiju Company decks up a small yet interesting array of Japanese-Thai-Fusion dishes. Remember to look up and take pictures of the origami dragon crane! Overall Rating: 7.5/10. The Tom Yum Udon (RM26) was easily the crowd favorite (fantastic!) followed by the Thonglo Chicken (RM22). The BKK Spicy Noodle (RM28), Salad (RM22) and Drinks (RM10) was just alright. It was a rather quiet evening at APW Bangsar. The warehouse of abandoned printing machineries now felt a little eerie, being just footsteps away from the entrance. The sudden drizzle too, added on to the mood. Overall Rating: 7/10. Upon recommendation, I ordered 2 of the best-selling pizzas’ to try, and would probably return only for the Umbrian Black Truffle Pizza (RM32.00/8″). Personal preference, I still prefer the crisp thin crusts ones. I didn’t quite know what to expect when I stepped into Agak Agak that scorching afternoon, only to be surprised at how much I enjoyed my meal here. Overall Rating: 8/10. I ordered 2 dishes, Chili Pate Mee (RM32.00) and Duck Hoisin Sandwich (RM26.00). I enjoyed the former however my friend preferred the latter. I heard the bundt cakes are good! I really liked the vintage mishmash of Case Study Bar, the only bar in APW for the time being. Opt to either sit indoors or at the al fresco area, depending on weather conditions. Overall Rating: 7.5/10. To be honest, the cocktails menu was very confusing – loads of hand-drawn pictures and words that really didn’t made much sense to me. 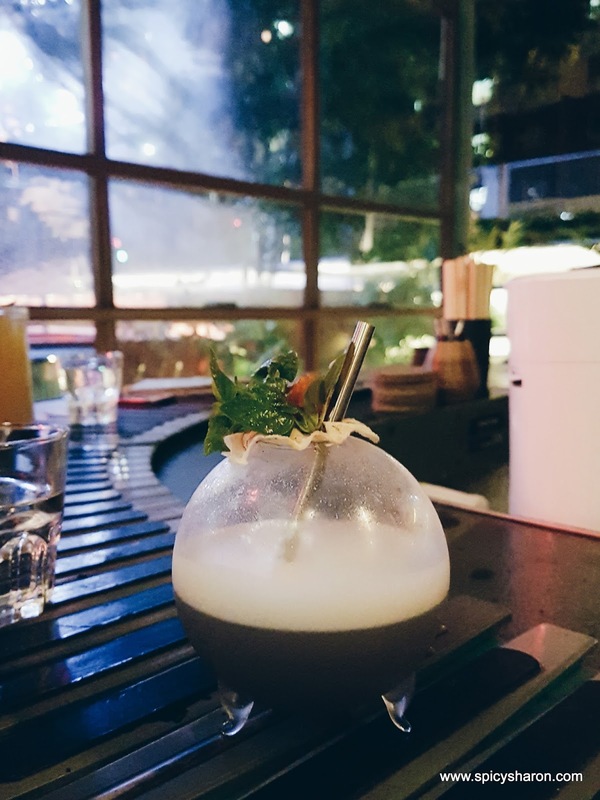 Having said that, I found the cocktail concoctions really interesting and affordably priced at RM34/glass. 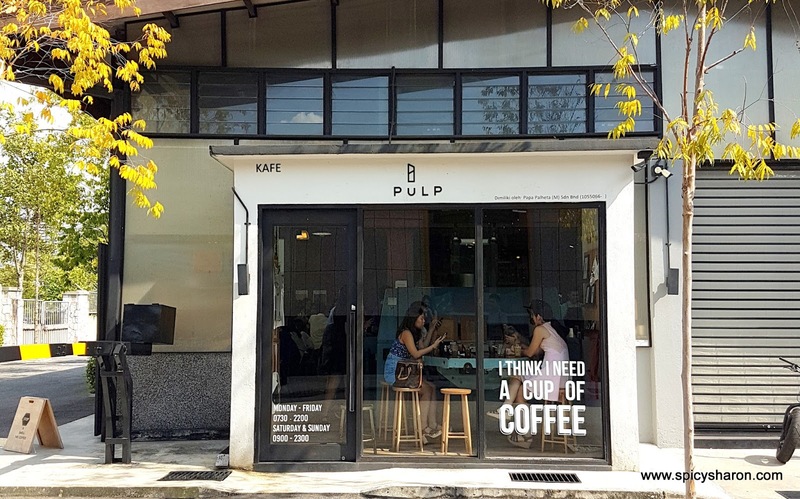 Pulp by Papa Palheta is the first and possibly the longest standing cafe in APW. Helmed by the same team who runs the popular Chye Seng Huat and Loysel’s Toy Cafe in Singapore. They serve food here too. Overall Rating: 7/10. Must try the coffee! For the really interesting and exciting cold brews’ and hot blends’.